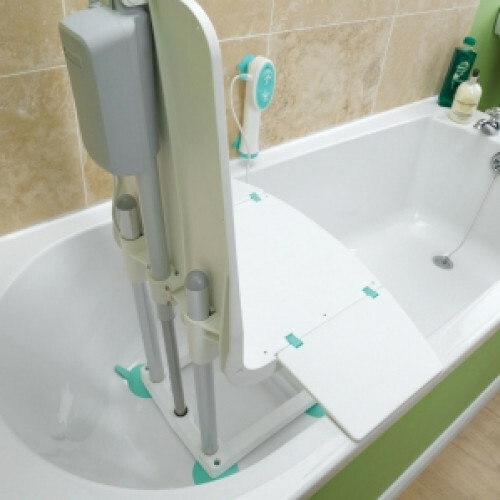 The Splash bath lift is a simple, practical bathing solution. 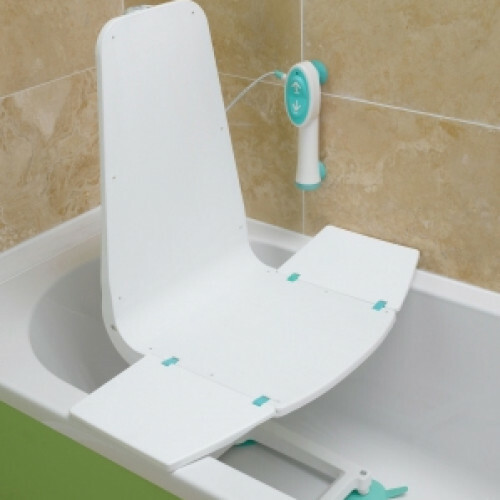 Features include a fixed back design which optimizes legroom by allowing Splash to fit close to the back of a tub. 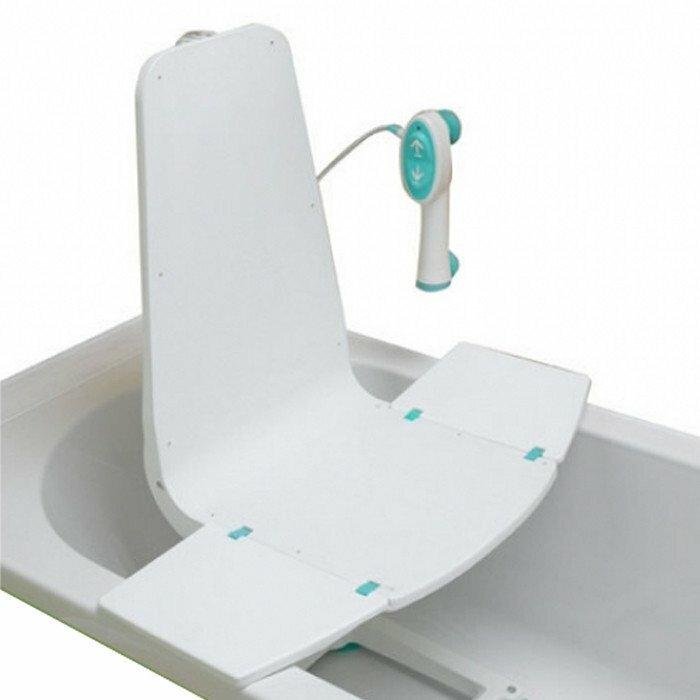 A low seat travel maximizes water immersion for improved personal hygiene. Also, the smooth movement and solid, stable design offers a safe bathing experience. 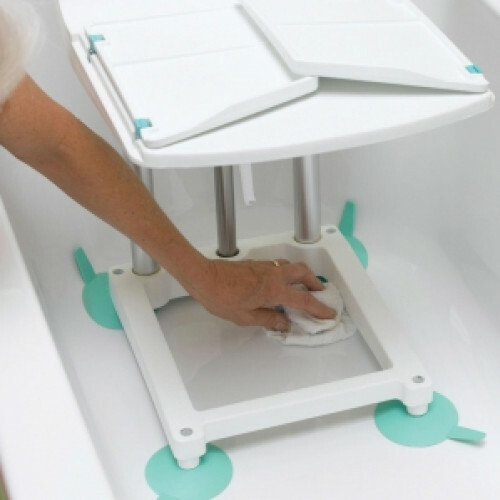 The ultra-compact design is easy to carry and can be stored in even the smallest of spaces. 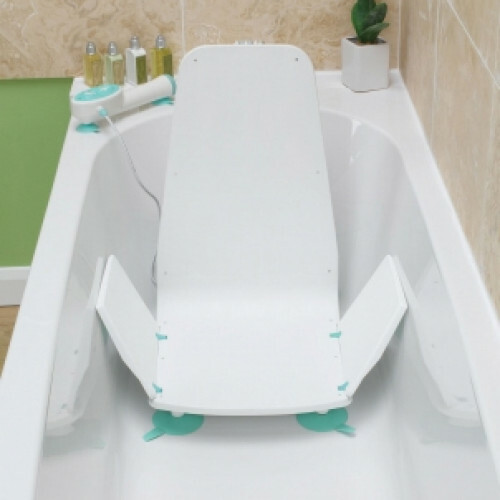 Also, the subtle, unimposing, and unobtrusive design blends discreetly into any bathroom environment and is barely noticeable when stored in its lowest position in the bath. A slim and Modern look provides a fresh, non medical appearance in the home. Weight (excluding battery) 14.3 lbs. If you receive a product and it doesn't fit, or it is not what you expected it to be, most products can be returned. Product must be in its original packaging with all Instruction/Warranty paperwork. Product must be unused. To return a product please request an RMA (Return Merchandise Authorization) by calling 1-888-826-4423 ext. 3. You must request an RMA within 10 days of receiving the product. All Returns must be complete within 30 days. Orders returned without an RMA# may not be identified or recognized as being a return and will be charged a 30% restocking fee and all shipping cost once processed. A 25% restocking fee applies to all returns. If you have placed an order with us and need to cancel it, please contact us immediately at 1-888-826-4423 ext. 3. We will make every attempt to stop your order from shipping; however we cannot guarantee that it hasn't shipped. Normal cancellation fee is 6% if your order has been processed. If your order has shipped, you will be responsible for the shipping charges to you and the return to us. This will be considered a return and treated accordingly. Orders for non-returnable products cannot be cancelled once shipped. Custom orders - Orders for adjustable beds, power wheelchairs, scooters and custom wheelchairs that are built-to-order cannot be canceled once the order is processed and assembly has begun. *Please - Do not refuse a parcel. Since many products must be shipped back to an address other than where it was originally shipped from, never refuse a product. Refusing a shipment will result in 30% re-stocking charges plus all shipping costs. Also, without an RMA number, the package may not be identified or recognized as being a return and credit will be not be issued. For all prices and products, we reserve the right to make adjustments due to errors, shipping times, product discontinuation or typographical errors in advertisements.